The USDA has confirmed that a new case of mad cow disease has been discovered in dairy cow in central California. There is no reason to panic, though. The meat did not enter the food system and the carcass will be destroyed. This is the fourth known case of mad cow disease in the U.S. since the first was identified in 2003. 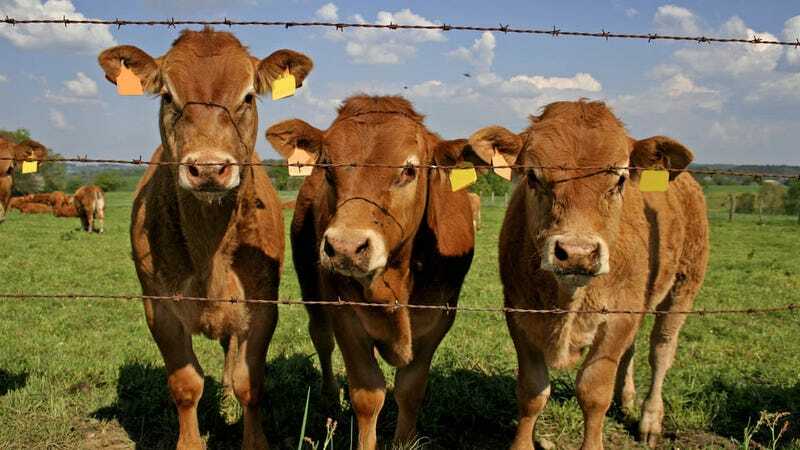 Here's a brief rundown of the instances of bovine spongiform encephalopathy (BSE) found in the U.S.
December 23, 2003: A Holstein in Washington state was diagnosed, but it was later discovered that the animal had been imported from Alberta, Canada. As a result over 12 countries stopped buying American beef, the U.S. lost about half of all its exports of the meat. June 24, 2005: The USDA announced that it had confirmed that a cow from Texas had suffered from BSE. It was the first case to actually originate stateside. March 15, 2006: An infected cow was identified on a farm in Alabama. It was euthanized by a local vet.